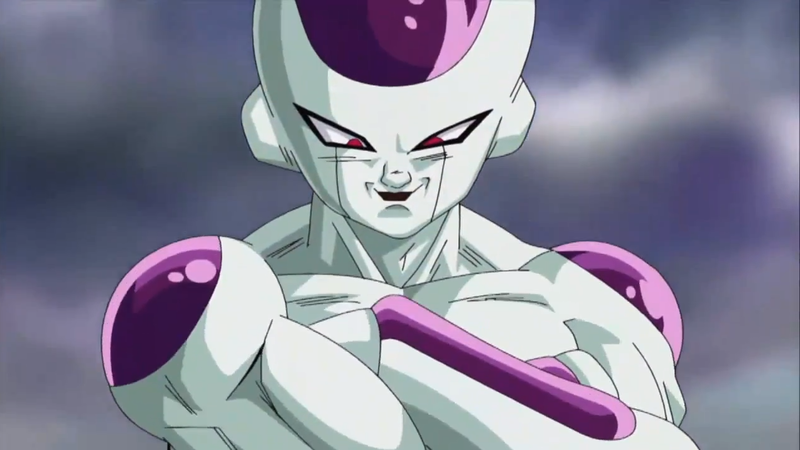 Frieza is returning and he’s not alone, Anime News Network reports. In the January 2015 issue of Shueisha's V Jump magazine, visual elements for the upcoming 2015 Dragon Ball Z film are unveiled. The magazine also reveals the film's official title: Dragon Ball Z: Fukkatsu no F (Dragon Ball Z: F Is For Fukkatsu, or 'resurrection'). But Frieza isn’t the only Dragon Ball Z baddie who is making a comeback. Beerus, the villain from last year's Dragon Ball Z: Battle of Gods, is also set to return. 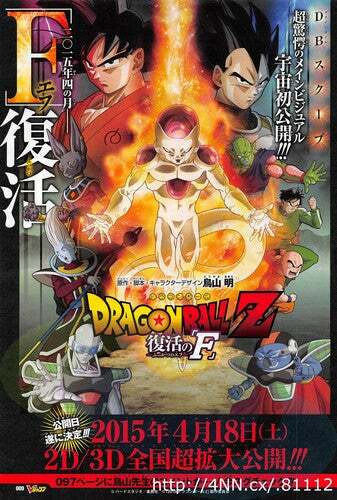 Much like the previous film, Dragon Ball Z: Fukkatsu no F will tell a new story: An Earth where peace has arrived. However, remnants of Frieza's army Sorbet and Tagoma (from the Japanese word for 'egg') arrive on the planet. Their goal is to revive Frieza with the dragon balls. Their dastardly wish is granted, and the revenge against the Saiyans is revived. The new film will open in Japanese theaters in both 2D and 3D in April of next year.